WERAM 1.0 is a comprehensive Eukaryotic Writers, Erasers and Readers protein of Histone Acetylation and Methylation system Database for 148 eukaryotic species including 68 animals (Ensembl), 39 plants (EnsemblPlants) and 41 fungi (EnsemblFungi). We classified all protein into 6 types with 47 families. Here we provide two approaches for users to browse the database: (i) By species; (ii) By classifications. Species browse allows users to select an interesting animals, plants or fungi, and the classification information of this species will be presented after click the link. 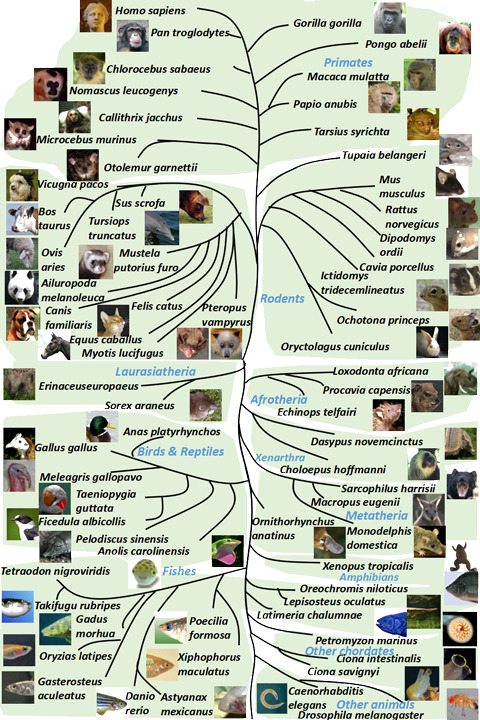 When browsing by classification, users can choose a specific group and get the family information in all species. The annotation information of each protein will be presented in the final webpage.